Always one of the best days at Roswell Rotary, this week our Interact Clubs will update us on their plans for 2018-2019 and will receive much deserved recognition! These students are leaders among their peers, work in diverse groups to serve the Roswell community and challenge US to dream big and do more. The ability to invest in Roswell's youth has been a centerpiece of service for Roswell Rotary since its inception. This investment has paid off as our Interactors have started and led Rotaract Clubs in college and joined and led Rotary Clubs after college. Just ask Lee Patrick what it means to have been an Interact student leader and now an Interact liaison for his own children! There is no investment more important to this world's future than investing in our kids. Find a way to invest in our youth--volunteer for RHS Career Day, Interact, RHS Construction, Toolbox, or Be THE Voice! Roswell's youth need YOU! One way we can invest is to share what we know and inspire our kids. This week, Pinar Keskinocak will share the importance of science, technology, engineering in math for our students success -- boys and girls. 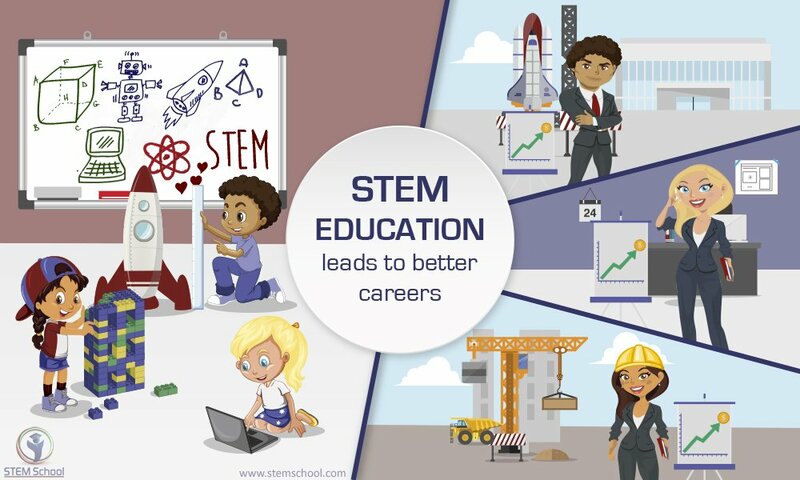 STEM education creates critical thinkers and enables the next generation of innovators. Innovation leads to new products and processes that sustain our economy. At Georgia Tech, Pinar is doing extraordinary work and engaging students and industry with real-life research and real-world results. We are in for a real treat this week! Please come and be inspired by our great students and Pinar Keskinocak, who is inspiring her students to dream big! Pinar Keskinocak is the William W. George Chair and Professor in the School of Industrial and Systems Engineering and the co-founder and co-director of the Center for Health and Humanitarian Systems at Georgia Institute of Technology. She also serves as the College of Engineering ADVANCE Professor at Georgia Tech. Her research focuses on applications of operations research and management science with societal impact (particularly health and humanitarian applications), supply chain management, pricing and revenue management, and logistics/transportation. She has worked on projects in several industries including automotive, semiconductor, paper manufacturing, printing, healthcare, hotels, and airlines. Her research has been published in journals such as Operations Research, Management Science, Manufacturing & Service Operations Management, Production and Operations Management, IIE Transactions, Naval Research Logistics, and Interfaces. Dazia Fumbah was born to Lovesta Johnson and G. Henry Fumbah in ZorZor Lofa Liberia. Dazia was able to immigrate to the United States from Liberia in 1985, and quickly became an active member in local community and civic organizations. Upon graduation from Columbia High School, Dazia become an avid soccer player and coach for youth while a student attending Maryvale College. Upon completion of his studies, he developed early in life a career in telecom, becoming professionally certified and trained within this industry working for some major companies specializing in telecom; holding project managers for the following companies: Emory University; Honeywell, Allied Data, and Nortel Networks. In addition, Dazia formed his own telecom company after successful years as a project manager named Nettone Networks Communication. As a member of the Lutheran Church of the Redeemer located in downtown Atlanta, Dazia has always been geared towards providing service to the community and those that seek refuge and assistance through hardship. Starting in 1985, working alongside his late mother, Lovesta Johnson, Dazia served and continues to actively participate as a usher as part of his duties within the church for the past 33 years. The humanitarian efforts instilled in the church community partnerships, inspired Dazia to consider being a part of the efforts to bring change about in his native country of Liberia. A need emerged to provide assistance to those immigrating to the United States experiencing traumatic civil war conflict, and undue poverty and hardship from war torn areas countries. Able bodied and prepared to travel abroad to begin his endeavors, Dazia was the victim of an unfortunate drunk driving accident which left him immobile for some time, loss of his telecom career, and rendered permanently disabled due to injuries sustained in the accident. Pain, loss, and suffering were now a part of Dazia’s life, as much as it was for those that he was seeking to provide assistance to. After bearing this type of tragedy, most would assume the story ends here; but it did not for Dazia. The vision for his life as bestowed from his ancestral roots of leadership and empowerment to the community began to take shape for Dazia. He became committed on steroids to being able to provide a meaningful impact to those who need help. One of his first projects newly “disabled” was to spearhead a program to assist in feeding the homeless, contributing some of his own limited funds at the time to support the program. And then, one day a seed was planted in his heart and mind that has taken shape and grown into a respected non-profit organization within the Atlanta community and abroad entitled “Our Seeds Tomorrow”. Since its inception in 2013, Dazia, as the Executive Founder and Director has created health and wellness programs, educational children’s programming, and the beloved annual Back to School bash where kids receive free school supplies and parents can get educated on the benefits related to health and wellness issues. His most recent program to launch in 2018 is the bicycling program, promoting fitness for all members of the family. Our Seeds Tomorrow provides the bicycles for the entire family meeting in local parks to enjoy a bike ride all the while promoting an active lifestyle. Another key initiative launched for Our Seeds Tomorrow is the focus to build a STEM School in Liberia, as well as provide a separate community library for those within Dazia’s home village and Resident County within the country of Liberia. A planned medical mission has also been initiated with partners such as Med-Share; the goal is to provide a 25 bedroom hospital clinic with staffed personnel able to provide medical care for those in need in Liberia. Lastly, to complete the highlight of some of Our Seeds Tomorrow programs in 2018; the non –profit is seeking partners and sponsors to mobilize a clean water project assisting Liberians with clean water for drinking and everyday living purposes, which will help reduce the spread of communicable diseases associated with unclean water. Dazia has received through Our Seeds Tomorrow the support of major sponsors such as the Atlanta Braves, Wal-Mart Foundation, Chick-Fila, Pepsi, Georgia State University, and Chipotle just to name a few. Dazia is currently working in partnership with some local Atlanta universities. His most recent speaking engagement took place at Georgia State University Andrew Young School of Policy Studies talking to college students about the importance of community service and how as youth they each can become leaders within their respective communities. Dazia’s motto is “I’ve learned that life is full of challenges and it’s not how you get there or fall; it’s how you get up with your face looking upward, learning from your experiences”. Very true and reflective of the life achievements and contributions Dazia has done and worked to create a legacy for his four children, Bendu Fumbah,Trenton Scot Fumbah, Kaia Love Fumbah, and Apple Forbs Fumbah. 6 PM Friday, Nov 2 – Potluck dinner and bonfire at Alpharetta Presbyterian Church (180 Academy St, Alpharetta) beginning around 6:00pm. You’re invited to eat dinner and hang out at the bonfire with the students and fellow Rotarians or you can take your students home around 8:00pm. 10 AM Saturday, Nov 3 - Drop students off at Alpharetta Presbyterian Church between 10:00-10:20am. They will be taken to TreeTop Quest and Main Event by bus. 8 PM Saturday, Nov 3 - Pick students up at Main Event (10700 Davis Dr, Alpharetta) by 8:00pm. You are more than welcome to join them between 4:00-8:00 at Main Event, if you would like. Some Rotary clubs/families will be getting together after this event to continue the fun, but that is entirely up to you. 8:30 AM Sunday, Nov 4 – Drop students off at Alpharetta Presbyterian Church by 8:30am so they can meet up with their ride home. This is such a fun and awesome opportunity to get to meet students from other countries and to learn a little bit about them. Many members have truly enjoyed hosting students in the past and are looking forward to doing it again this year! The damage from Hurricane Michael is historic, Southwest Georgia and the Florida Panhandle has many areas with extensive damage if not total destruction. I ask that all Rotary Clubs and Rotarians, please donate funds to help the needs of the folks in these areas, of which many who are Rotarians themselves. District 6900 has the best Rotarians in the world, please help us help others in need in our Communities!